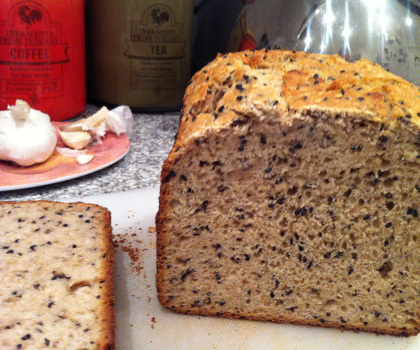 Posted by astridjohnson in Vegetarian, Vegetarian Cooking. It is not as easy to find yeasty banana bread recipes as those with baking powder. This is for a bread maker. I combined one of my favourite food blogger’s recipes (Heidi Swanson’s Sesame Banana Bread) with one from a Marks & Sparks bread maker book and trusting my instinct. It worked twice now, so it is safe to post. 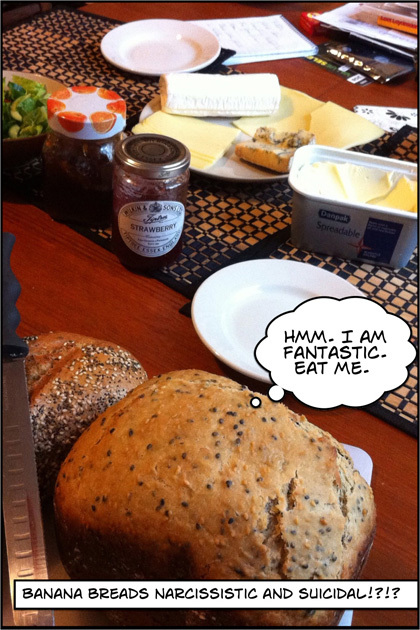 I am also trying out a an iPhone app called Comic Touch as per picture above. And here my second attempt at making some jam. Still fighting with getting the jars to seal properly… and using too much sugar. But it looks nice. 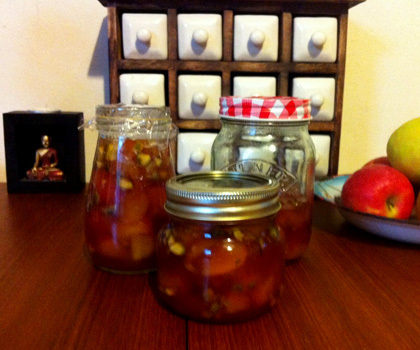 Nectarine, brandy and pistachio jam.